As children get older, some benefit from experiencing a longer school day. For those children, an extended day at school offers the opportunity to build and maintain the energy and stamina required to carry oneself through a longer activity. It also provides children added opportunity to work in a group and continue to practice how to make choices, decisions and explore ideas. There is also additional time for children to build deep, strong bonds with their peers and teachers. In order to maximize these opportunities for those children who are interested, we offer a limited number of spaces for the extended day program. This small group of children will have the opportunity for an expanded work time directly in their classroom with their peers and teachers. The teachers structure this time to build onto and enhance the current classroom offerings. For example, when exploring collage materials and the workings of Henri Matisse in the morning with the full class, the teacher might decide the extended day small group will delve into a study of sculpture. And a full class that is studying flowers might shift focus in the extended day time and explore the relationship between birds, bees and flowers. Our extended day program is seen as an opportunity for a small group of children to enhance and extend their learning. The extended day option is available to children 3 years and older. The program extends the school day until 2:45 pm for up to two specific days a week. As children grow, our expectations of them grow; our children are able to make the transition into kindergarten, where the requirement is five full days, with a natural ease. 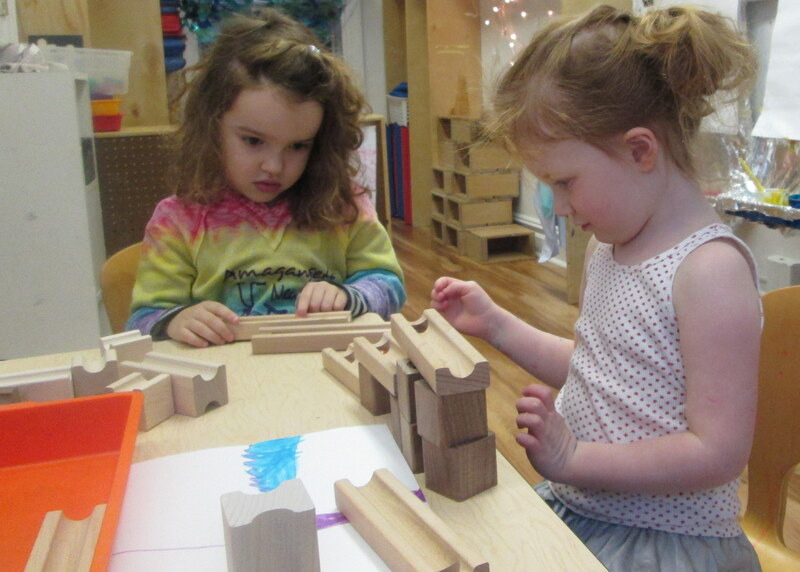 We noticed children using ramps and cylinders to make machines in the block area. 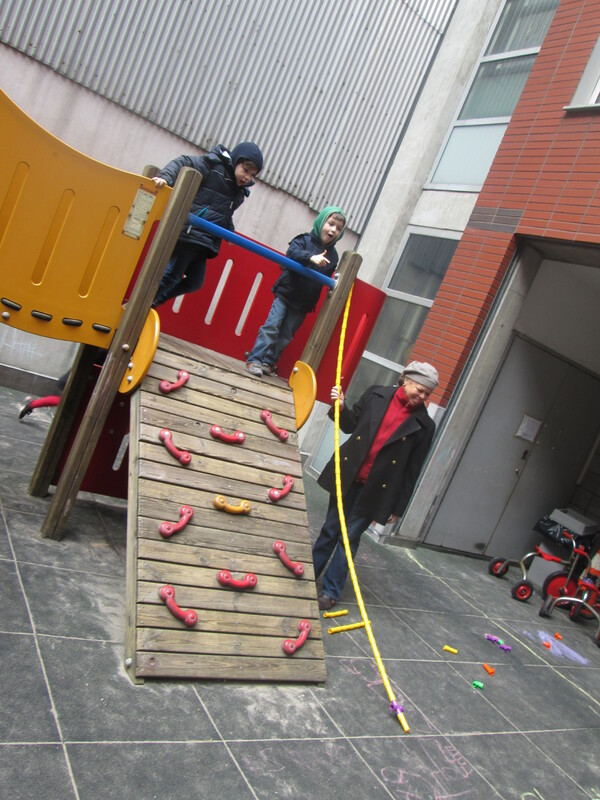 At the onset, we saw the children’s deep interest and excitement in their exploration of the physics behind rolling round objects down ramps. 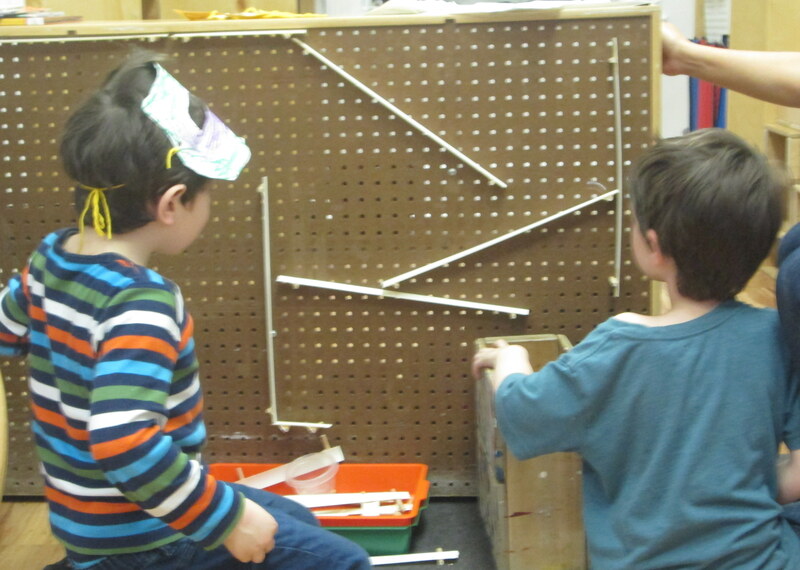 Indeed, their shared interest in ramps, tubes, mazes, gravity, and friction provided deep inspiration in the Extended Day program. 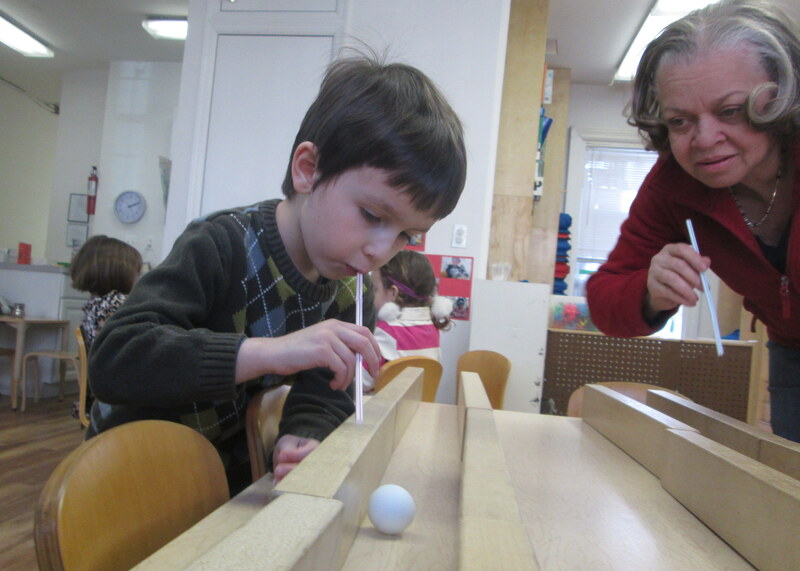 We experimented with pipes, chutes, blocks, and window blinds; cotton balls, ping-pong balls, and marbles. We discussed what made things roll faster or slower, straight or crooked. We tried out different shapes, angles, and methods of propulsion. There were races, games, puzzles, traps, diagrams, plans (and a lot of fun) all using what we learned about what makes things roll. We were able to construct more intricate contraptions and do more extensive tests of our hypotheses because we could spread out and use the whole class if we needed to. We could roll marbles all over the floor without having to worry about tripping up our friends and teachers. We could take our machines to the yard so we could roll a marble from the top of the climber and measure how far it went. That is the opportunity that comes in Extended Day: Deep exploration and meaningful learning in a small group that takes its own path. Columbia Greenhouse Nursery School offers an early drop-off program for families needing care before school begins at 9:00. Early drop-off is offered starting at 8:30 am in the play yard. Greenhouse teachers will take turns providing supervision. Enrollment in the program is for the entire school year. To enroll, you can choose one or more days per week in which you would like to drop off your child early, and a spot will be reserved for your child on that day/s. Space permitting and with prior approval, emergency early drop-off will be available for families who are not enrolled in the year-long program.